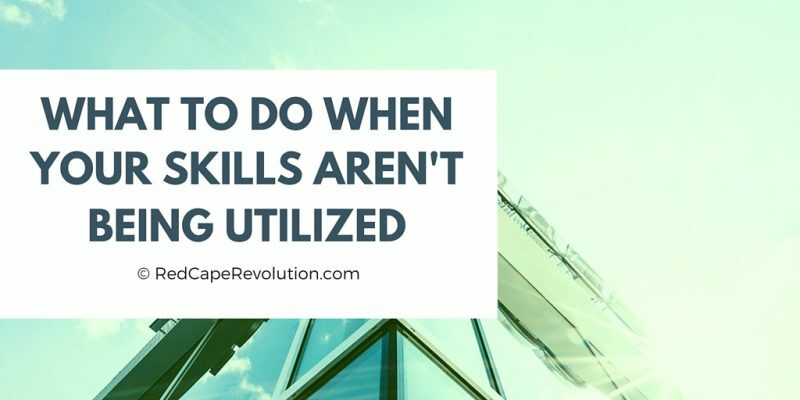 If that’s you, and your skills are not being used at their best and highest use, read on. I have 20 years experience in my field. Over a year ago, I took a new job. My dilemma is that my skills are not being utilized. I shared this with my leader and was told to enjoy the summer and that things should pick up in the fall. My husband says that I should look for a different job. I’m not sure what to do. Your thoughts? Thanks for the question. We all want to feel like our skills, talents, and unique abilities–what I call our superpowers–are being put to work in full each and every day. So you’re not alone. Here are three things to do when you’re feeling under-utilized at work. Let’s dig in to what’s happening for YOU when you feel like your skills are not being utilized. What’s the truth about what you’re noticing? That others are doing work you thought you’d be doing, and so there’s no real need for you? That you’re so much better than the last person that you get all the work done in half the time and so have tons of open time? That the job expectations are at a level lower than where your skills are? That you’re not learning and growing? Too often, this excuse of “I’m under-utilized” just covers up something else that’s happening. Put it into words. 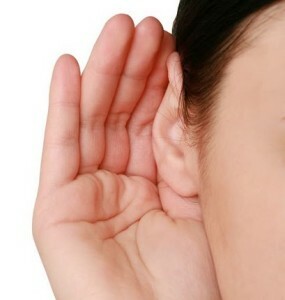 Don’t worry–we won’t tell anyone. Just get clear on the true problem, just as you see it right now. Need help getting clear? Try my on-demand Career Clarity Course, with five short video segments and powerful tools to help you move forward, faster. More here. A client of mine had a similar my skills are not being utilized” conversation with his leader. And he expected something to change. It did, all right. He suddenly found himself the owner of every failing, languishing project in his department. Almost overnight, he became overwhelmed—and angry. The work that now came his way felt like busy work, time-wasters, and was far , far away from his superpower space. The mistake he made was that he didn’t get clear about what the problem was and so didn’t realize how his leader heard his request. For you, dear reader, I can just picture your eyes rolling when your leader said “just enjoy the summer.” It sounds like that leader heard the initial “my skills are not being utilized” conversation as information, not as a request. And it probably doesn’t sound like enough of a problem to her (compared to everything else on her plate) to move into any action. After all, why wouldn’t anyone just want to relax and enjoy the summer? She’s hearing your situation wrong. Which leads to our third step. Now that you know what your specific problem is, and you recognize how it might be heard, it’s time for your SRA. What do you want someone to DO? Hearing about the problem is one thing, but what request are you really making? How can someone help you? So . . . Do You Need a New Job? I hear your husband’s concern that he sees you’re not happy and thinks you need a new job. I’m so glad you have his support in what you do. He’s right in that there’s no reason right not to keep networking while you work (grab my handy free tool here) and watching what’s happening in your market. You always have the power of “no” for new opportunities once they’re real. Since you found a new job a year ago, you’re probably still well-practiced enough to keep networking and seeking out new roles. There’s nothing wrong with keeping your eyes open.But I always caution people that it always SEEMS easier to jump to a new job when your current situation gets tricky. The stronger, more satisfying path is to first apply a bit of courage and confidence to your current situation and see how you can make your current work work for you. And it might be “no.” Or your repeated requests get ignored. No matter what, it’s all good data that can help you decide whether you want to stay or go. But if you’ve never asked, how do you know what can change? Try these steps and keep us posted.